Mr. Ashby received Bachelor of Arts degrees in both English, and Film and Television Production from California State University Long Beach in 2001. He received his Juris Doctor from Chapman University School of Law in 2008. Mr. Ashby is a member of the State Bar of California, the American Bar Association, and the San Diego County Bar Association. During law school, Mr. Ashby worked in the legal research department of the Orange County Superior Court, and worked as a law clerk at a well-respected employment and education law firm in Orange County, California. 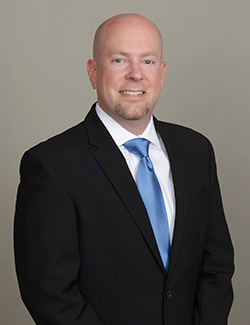 Upon admission to the Bar, Mr. Ashby began his career in workers’ compensation as an associate at the Orange County office of a large workers’ compensation law firm, and relocated to San Diego in 2011. As an associate attorney with Dietz, Gilmor & Chazen, Mr. Ashby is devoted to providing quality legal representation and excellent customer service to his clients in all workers’ compensation matters. Mr. Ashby has developed particular expertise in the defense of homeowner’s policy claims, asbestos claims, “carve-out” claims, and professional athlete claims.